Love children to Jesus through the teaching of God’s Word. Helping kids and their families connect with God, find their place in His Big Story and respond to Him through the power of the Holy Spirit. KID STATION is the place to be on Sunday mornings. 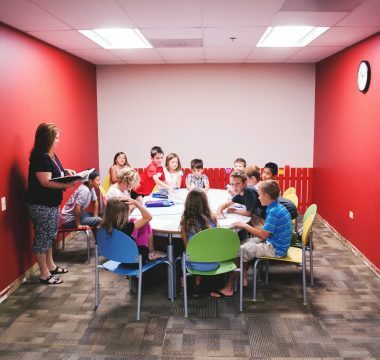 In our large group / small group setting, kids anticipate the day’s lesson from “The Big God Story” through fun activities, hear a creative telling of the day’s story, then respond to the lesson in a quiet time of worship and reflection giving the Holy Spirit space to work in their hearts. Adventure Club is our Wednesday evening program for kids in grades 1-4. Everyone is invited for this action-packed program that includes singing, creative Bible stories, Scripture memorization, prayer, games and crafts.